Work when you want. Earn more than ever before. Structure your business to set you FREE. - Does your business feel more like self-employment, and less like a source of freedom, joy, and lifestyle ease? - Are you dreaming about your ideal work week, but don't think it's possible yet? - Have you noticed your health, personal goals, and family relationships falling by the wayside, as your business demands more of your time and energy? Thousands of entrepreneurs have been told that lasting business success requires sleeping less, working more, and burning yourself out on fatigue and overloaded to-do lists. In its most ideal form, entrepreneurship brings not only financial abundance, but also personal freedom - the freedom to take care of your health (physical and mental), to pursue passion projects and goals, to enjoy quality time with your family and friends. So what's required to build a business like this? The Business Freedom Mastermind will show you. WHAT IS THE BUSINESS FREEDOM MASTERMIND? 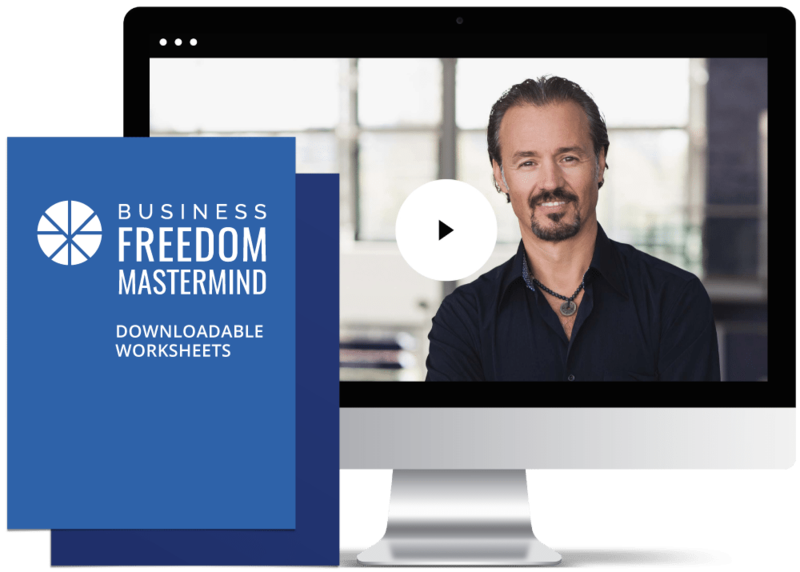 The Business Freedom Mastermind is a 12-month mastermind program for entrepreneurs who want to live their dream lifestyle while still generating strong cash flow in their business. 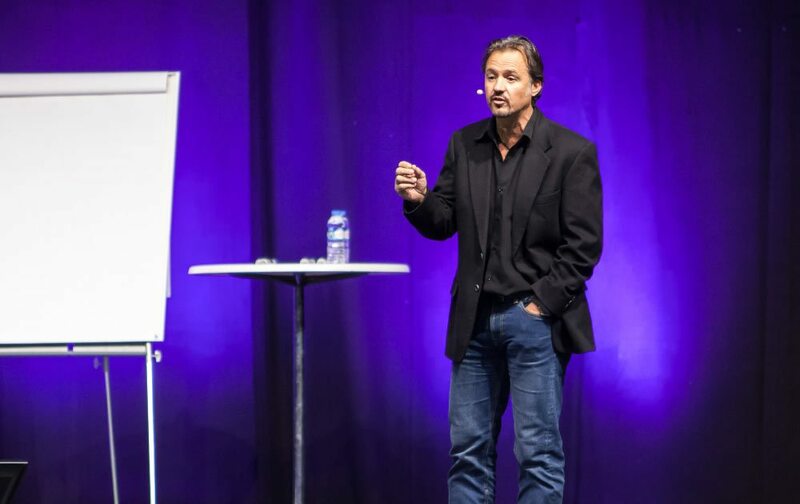 Personally lead by seasoned entrepreneur and internationally-renowned mainstage speaker, Eric Edmeades, The Business Freedom Mastermind teaches you the proven and practical strategies that will increase revenue while you enjoy true personal freedom in the process. With a bio like that, you might think that Eric is working 7 days a week, filling every waking moment with some task or to-do, right? In reality, Eric only spends a few hours each day on his computer. The rest of his time is spent kiteboarding (his favorite pastime), enjoying quality time with his family at their home in the Dominican Republic, and traveling the world for fun. Entrepreneurial freedom is not a pipe dream - it's a reality. Let's make it YOUR reality. The Business Freedom Mastermind is not a template for replicating Eric’s dream life. 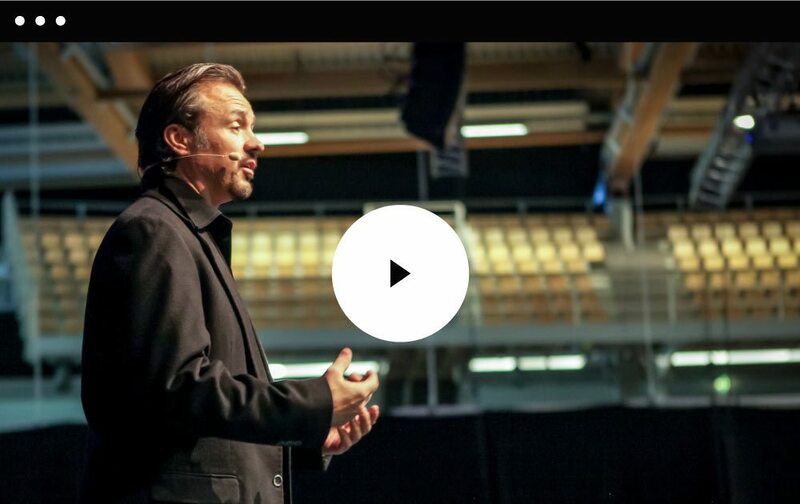 Yes, this content comes out of Eric’s 20+ years as an entrepreneur, but these principles are timeless and applicable to every industry and every stage of entrepreneurship. 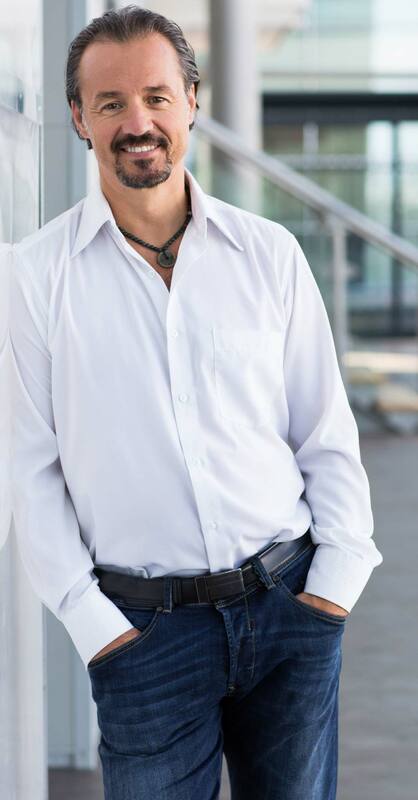 Over the course of an entire calendar year, Eric will personally help you redesign your business, giving you the step-by-step details, support, feedback and accountability needed to not just think about changing your business and life, but to actually DO it. Eric is one of the people I admire most for his ability to walk his talk. When he talks about success in business, you know he achieved it. When he talks about overcoming challenges, you know that he has faced them. He is an all-round terrific guy who I am grateful to know. For the first 4 week each month for a year (48 weeks! ), you’ll receive training videos and downloadable worksheets to show you how to work smarter (not harder) on your business. This 12-month video training covers A LOT of ground. Once a month, you’ll get exclusive access to a video Q&A webinar, where you’ll get real-time teaching and feedback from Eric. Ask him anything! Build community with fellow entrepreneurs. This is the place to ask questions and get personalized support in between the monthly live webinars. - develop powerful conversion tools so that customers want to buy only from you and never your competitors. At this live, in-person event, you’ll work closely with Eric, his Master Coaches, and your new entrepreneurial friends to refine and uplevel your personal Business Freedom priorities and action steps. That's $8,597 worth of bonuses from us to you! Your business shouldn't imprison you. True entrepreneurship is about personal freedom. The Business Freedom Mastermind takes all the guesswork out of smart business design. With clear and actionable steps, you won’t just learn what to do, you’ll receive the structure and support needed to implement the Business Freedom principles as you go through each week of the program. LIVE YOUR DREAM LIFESTYLE NOW. Imagine your ideal day, week, and month. Your business is thriving. You’re creatively fulfilled. Your family is healthy and happy. Your life is full of joy. Can you see that vision in your mind? In The Business Freedom Mastermind, we’ll make that dream a reality. PLEASE NOTE: You have to do the work. Business Freedom 365 and Business Mastermind are for business owners who are committed to increasing their revenue and their quality of life simultaneously. This training will absolutely speed up your progress, but you will only benefit from this content if you’re willing to show up and do the work each week.You must watch the videos, do all the associated work and put the strategies into action to be eligible for a refund. When are the live Q&A sessions happening? What if I can’t make the time? The times of the live Q&A sessions might fluctuate, to accommodate schedule changes and to also create a variety of options for you, since we’ve got quite an international group. Don’t worry if you can’t make each one live. We’ll email you the recording link within 24 hours, so you can watch on your own time. How long is each Q&A session? Each monthly Q&A session will be approximately 60 minutes long. Can I speak to Eric directly during the monthly Q&A session? Each month’s Q&A session will have a different focus. Some will be pure teaching, so Eric may not always have time available for a lengthy Q&A portion, but most of the time though, yes, you’ll be able to ask him a question. If you’re unsure about whether The Business Freedom Mastermind is right for you, email us at helpdesk@clientservices.ee Tell us a bit about your business and life priorities, and we’ll give you our honest opinion about whether or not this is a fit. Whether you’re running an established business or you’re at the very beginning of your entrepreneurial journey, The Business Freedom Mastermind will teach you the practical and powerful strategies that will transition you from self employment to true business ownership. We appreciate your generous intentions, and the answer is no. When you join the Business Freedom Mastermind, you’ll get personal and unique log-in access for you, and you alone. If you know someone you think would benefit from it, please send them this URL and encourage them to join you. You will receive two complimentary tickets to the Business Freedom Experience and Inception Marketing LIVE. You are welcome to offer the second ticket to your business partner or spouse. Your free tickets cannot be transferred or sold to anyone else.